Planning a wedding can be stressful. While it is an important, life altering event, don’t let it alter your life before the wedding day. We have all heard the term “Bridezilla” or at least can picture what the term may mean. It is important to focus on self care during the process. Date Night: When planning the most romantic date night of all, don’t forget to plan a weekly date night for your and your soon to be spouse. This may seem like a waste of time in the wake of your overwhelming list of wedding tasks but it is important. It is important to set time aside for yourselves to focus on your relationship outside of wedding planning. This is a night that is free of wedding talk and focused on pair self care. 2. Ask For Help: While you may feel that this is exclusively your job, its not! 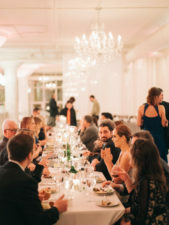 A wedding takes a network of friends, family and wedding planners. Don’t forget to ask for help on tasks that can be executed in a more timely manner with a few helping hands. Nowhere in the wedding plan does it say you have to put on the event on your own. Do wedding tasks with a group, delegate tasks to your wedding planner, it will help relieve stress which is important for self care. 3. Say No and Take a Personal Day: This is a very special time where you will be feeling a lot of love from family and friends. They will want to plan various events leading up to the bigday. These events coupled with the never ending wedding to-do list can be exhausting! Remember you can always say no. It can be hard because you will want to accept all the kind gestures but it is important to be able to remember self care. 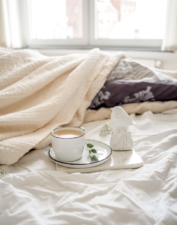 Self care is more than a spa day, it is alone time, time to regroup and relax. 4. Stay Healthy: A trend that has been going on for years, in the wedding world, is losing weight before the big day. You cut back on junk food and force yourself to go to the gym to look perfect for your wedding. Yes, in theory this seems ideal until your body begins to feel worse rather than better. Self care and staying healthy go hand in hand. If you are trying to drop a large amount of weight consult a nutritionist or doctor. 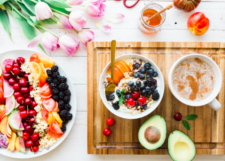 This is the biggest form self care when losing weight before your wedding. Looking good is only half or the goal on your wedding day, it means nothing if you do not feel good so keep this in mind! It’s important to keep your bridesmaids in mind throughout your wedding. These women are an important part of your wedding. They will be your support system throughout this journey. Let them help you with wedding tasks that would be fun to do as a group. It is your wedding but you don’t have to do wedding tasks all by yourself! 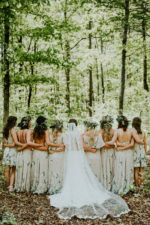 Bridesmaids understand that you will need a lot of help along the way and they will be willing to lend a helping hand. While they will be more than happy to lend a helping hand, remember that they have things going on too. 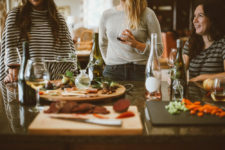 Dinner with the girls is a great way to unwind with your bridesmaids. A night of fun free of all wedding talk is the perfect way to remind yourself why you chose them to be your bridesmaids in the first place. This will take the pressure and stress off every one for a night showing them that under all the wedding stress and tasks, you’re still you. Gifts are a great way to show appreciation for the amazing ladies that will help you on your journey. This let’s your bridesmaids know that you care about them and are thankful that they were willing to go on this crazy journey with you. Gifts do not have to be expensive or luxurious, as long as it is heartfelt you can’t go wrong! 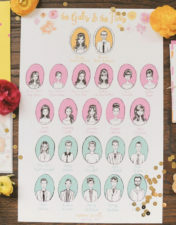 Add an artistic flare to your gift and get them a portrait of the wedding party. Another idea is a charm bracelet that has a meaningful charm. Acknowledge your bridesmaids throughout the day. I know this might sound silly but it’s important to acknowledge them and everything they have done for you. While it’s still your day, take time to give credit where credit is due. 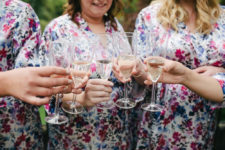 When getting ready for the wedding toast to your bridesmaids with some mimosas or take a moment to thank them at the reception. Say thank you after the big day is over. Thank you cards are a great way to show your appreciation after the big day is over. This will let your girls know that you are grateful for everything they did throughout your wedding journey. Yanni Design Studio’s Stunning set up at Thursday Therapy give us some serious wedding goals. Everyone wants their wedding to be the best. So what is the best mean these days? Traditional wedding can still be fun but trends are changing. There are a variety of new fun wedding ideas. A few of them include a twist to the way your guests eat. Mishkalo CEO, Charu Swaminathan, recently attended an event called Thursday Therapy. Thursday Therapy is a unique showcase of different wedding vendors. Vendors set up as they would to work a wedding. By doing this, they can show what they have to offer potential clients such as wedding planners, brides etc. So what are these fun wedding trends? Talk about fun wedding ideas! 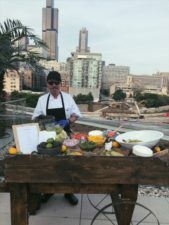 This bar includes plain guacamole with a variety of traditional along with some not so traditional toppings. The topping include tomato, red onion, cilantro, jalapeño as well as diced mango and pineapple. Ceviche is a Mexican dish that is a mixture of cold seafood, onion, cilantro and a variety of other ingredients. This delicious dish would be a create addition to a wedding especially at an outdoor reception on a hot day. 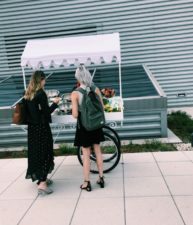 Dipsy is a unique service that allows you to make your own ice cream popsicle. This is a fun wedding idea for a different spin on deserts. 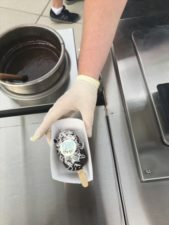 This service also allows you to make a unique wedding decal that they can put onto an edible piece of chocolate to add an extra touch to your special dessert. Yanni Design Studio created a beautiful atmosphere perfect for a wedding reception. The space had a stunning back drop in place for guests to take photos.With social media at a high, this was the perfect addition for guests to take photos.The backdrop seen below, as well as the rest of the set up is the work of Yanni Design Studio. 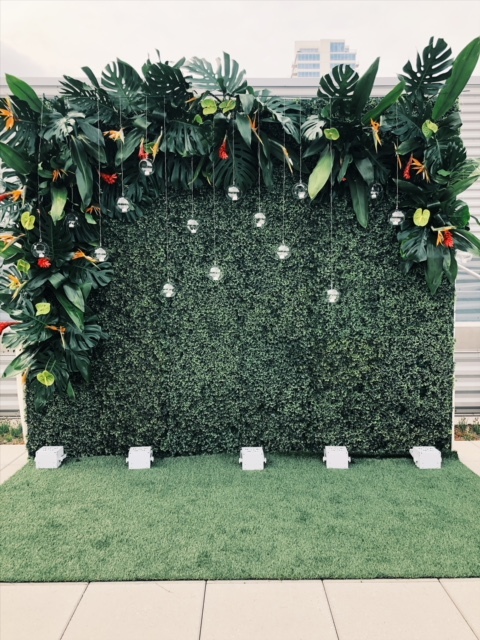 With the addition of art,your back drop will be different and unique as your wedding. Mishkalo’s unique wedding registry lets you have your piece on display at your reception. These fun wedding ideas a just a few to get you thinking about how spectacular your wedding can be! We all know weddings can be expensive. Making every penny count is important in planning your special day. 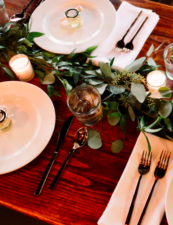 Although some may think that it is okay to go all out on your big day, it is also okay to look for creative ways to stay on budget and maybe even save a few bucks. Details can range from the table centerpiece to the lighting, it all depends on your aesthetic. Less can be more. Simple weddings can be just as beautiful as weddings that have flashy and expensive details. There are also various ways to mimic the expensive ideas using simple inexpensive hacks.Simplicity can go a long way. It also helps avoid a clutter of ideas that can make a wedding seem unorganized. Yes, there are so many things that people want to pack into one day but it is important to stick to the ideas you really like rather than all of the ideas you can come up with. This will make your aesthetic clear to your guests. For a smaller wedding, consider doing a Pinterest inspired guest bag, for those who are into DIY. By doing this, you can personalize them and add unique elements. Buying in bulk is key for wedding favors. This is another way you can save some money. 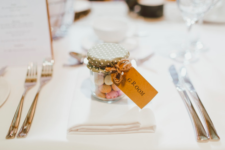 By creating your own wedding favors, you can eliminate the cost, as well as the stress, of getting them from a website risking delivery delays. Lighting can change the dynamic of the space you have chosen. Candles are perfect for creating a more intimate space. This detail will add elegance and the romance your wedding already is exuding the feeling! Candles are also a detail that can help you cut the cost of flowers, which have been shown to be a bit expensive. Adding a mixture of candles and smaller inexpensive flowers, baby’s breath perhaps, will create a unique, elegant centerpiece for your guests. By cutting the cost of flowers and adding inexpensive candles, you can create an inexpensive yet elegant center piece. A few inexpensive tricks to add beautiful details to your special day! The perfect wedding venue can be a difficult decision to make. 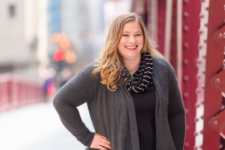 With so many amazing wedding venues in the city of Chicago and all over the country, the right one can be a tough choice. It is important to pick one that allows for your to make it your own. Aesthetic is key to creating a unique space that is compatible with the aesthetic of your partner. With this in mind, it is important that couples take time to assess what exactly it is that they want from a wedding venue. Each wedding is unique so why not look for a unique venue that can be made specifically for you? Room 1520 is a beautiful wedding venue that has simplicity and elegance while being a unique space. The simplicity may be a turn off for some but, with the use of imagination, the simplicity may be what makes it the perfect space for your special day. Room 1520 is a unique space on 1520 W. Fulton. With 4,000 square feet, the space can seat up to 150 people for a seated dinner with a dance floor. There is also a beautiful white marble vintage bar that adds a unique detail to this wedding venue. 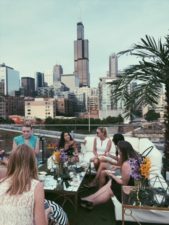 Other features that will add to your dream wedding venue is their roof top that has a beautiful view of the Chicago skyline. Capturing the skyline in your wedding pictures will create beautiful pictures that will last a life time. With this space, you are able to create your ideal wedding venue. The white walls and open spaces lend themselves perfectly to adding pieces of art that will customize the space. Customization is important to make this wedding venue yours on your special day. The simple addition of a few pieces can change the aesthetic of the space. Let your family and friends see your style as a couple. Mishkalo can add the personal touches that will make this venue yours. Though our website you can make a wedding registry, picking out pieces that describe you and your significant other. These pieces can then be transported to the wedding venue adding special touches to a unique space such as Room 1520. Another special addition you can consider is having a painting commissioned for your big day. The paintings will make for beautiful back drops for you and your guests. 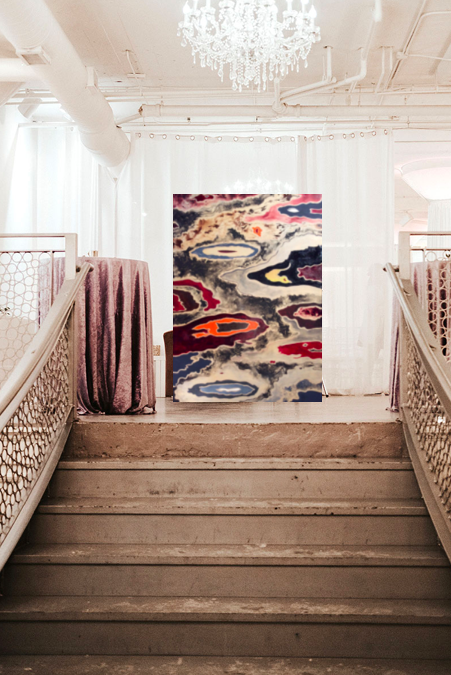 This gift keeps on giving, once your reception is over, the painting that made your wedding venue beautiful will make your home just as stunning! Anna and Paul, an adventurous couple who love music, art and traveling recently got married. Their love for art led them to a unique wedding venue. They got married at the Jackson Junge Gallery. in Chicago. Picking this venue resonated with their style and aesthetic, it emphasized their love for art creating a beautiful back drop for their wedding. The gallery was accommodating and helped them create a special space the way they had envisioned it. Wedding photographer, Becky Brown who also owns ‘Elope to Chicago’ captured the ceremony. Becky integrated the art into the various wedding pictures she took. By having a variety of colors and paintings, she was able to capture the beautiful details of their special day and their special venue both inside as well as outside. The Wicker Park Street festival added more excitement and colors to their photos shot outside the venue. The walls of the gallery were filled with beautiful pieces giving Anna and Paul’s family and friends an idea. In a spur of the moment decision, their guests pooled together to buy them a piece of art from the gallery where the wedding was held. This was not the only piece of art that they received as a gift. Another friend bought the couple a piece of art that reminded them of their bachelor party. 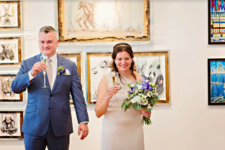 Both paintings signified important events in their wedding celebration. 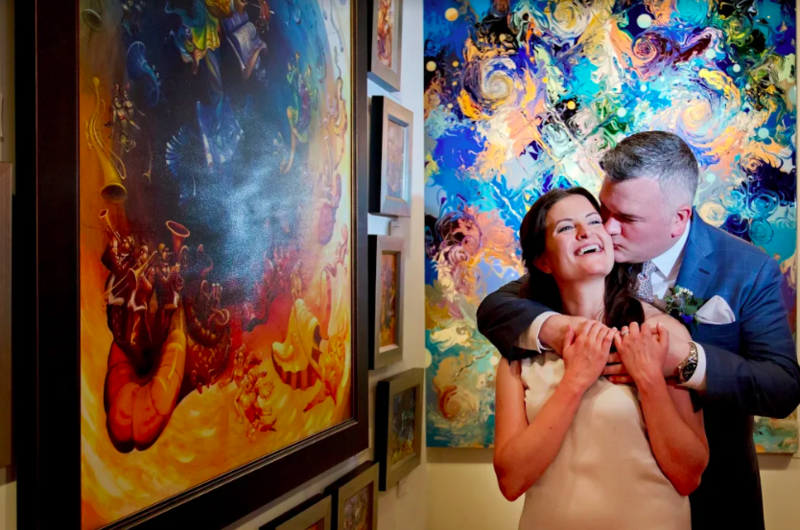 Mishkalo is opening doors for couples like Anna and Paul who appreciate art. We aim to help couples get art into their first shared space as husband and wife. Mishkalo is unique in the way that it does this because it is a wedding registry for art. Couples can receive a unique gift of art, which they have picked out, helping turn their house into a home with the help of their friends and family. The piece can also be incorporated into the wedding or reception. 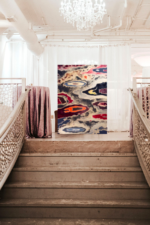 The piece will add an artistic element for friends and family to enjoy by using it as a back drop for pictures or simply to admire the beauty it brings to the already beautiful event. Mishkalo can go a step further and make your piece of art unique to you and your wedding day by commissioning a Mishkalo artist of your choice to paint a photo that was captured at your wedding. 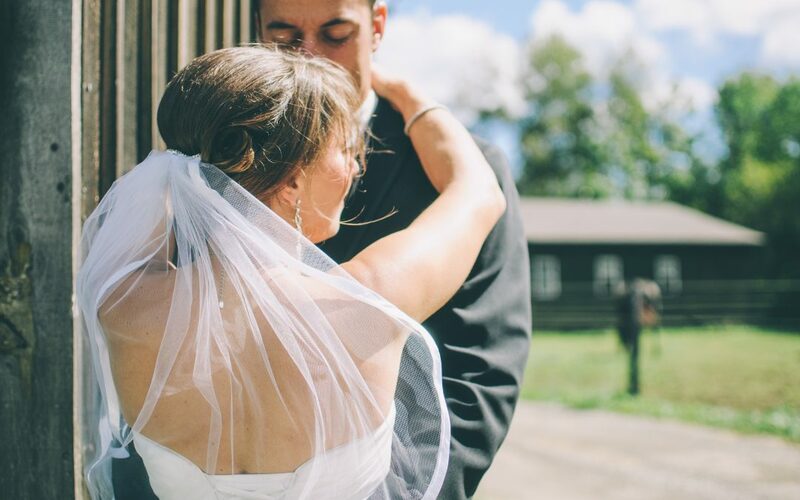 A wedding photographer captures the special moments that can be translated into beautiful pieces of art. Weddings can be expensive but it is important to capture the memories that will last a lifetime.